In Metal Gear 1 & 2 Snake smokes Lucky Strikes. And at the beginning of the Tanker chapter, he's smoking a "Hope". But what brand of cigarettes does he smoke in MGS 1 ? I know it's a dumb question, but I'd like to know. P.S. And Naked Snake smokes Joya de Nicaragua cigars. I'm pretty sure that he smokes the same brand as Jonathon Ingram in MGS1. Can't remember what the brand is though. Yes, Dave's right. They're called Moslems. Oh everyone keeps going on about Snatcher references, but no one noticed the bent cigarettes references to Policenauts. It looks exactly like Moslem Bent Cigarettes from Policenauts, which Jonathan used to smoke that brand of cigarettes on Earth before he went to the Beyond Coast in 2013...which makes it around the time MGS4 takes place in. Also in Japanese version of MGS1, Snake smoked Sakiori Tabako (which were turned to generic smokeless cigarettes in English version) which was the first brand of cigarettes Jonathan mentioned that he smoked. So is he wrong or what ? Anyway thanks for your answers Dave and Osiris. In MGS1, Snake smokes Moslem sakiori tabako, or Moslem bent/break cigarettes. (I call them break because bent sounds a little silly to me, but that's just me.) The item menu doesn't say they're smokeless (from my memory), but it's a reference for people who've played Policenauts. In the English version (and Japanese), Nastasha calls them smokeless cigarettes, making it clear. Jonathan smokes Moslems in 2040. The game doesn't specifically say whether Moslems were around in 2010 or 2013, but Jonathan didn't smoke back then anyway because he was an astronaut, and smoking automatically eliminated you from the Policenauts running. When Ed asks him why he started smoking after his return to Earth, he replies, "I don't really know why." OK, thank you very much for all the details. 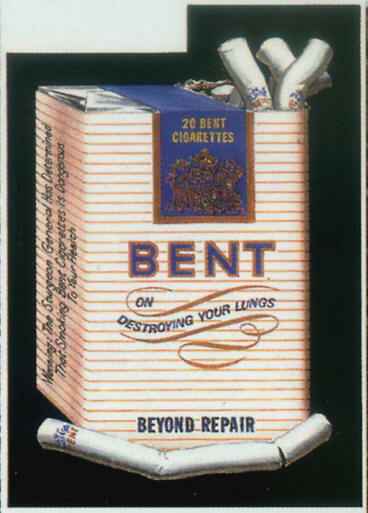 - Is is true that these "Moslem bent cigarettes" can be lit by bending the tip of them (so Snake didn't need to swallow a lighter in MGS1 ) ? - This a picture of Moslem cigarettes (Germany, 1910). Are they related or is it just a coincidence ? 2. The game doesn't mention their origin, but I'm sure Kojima has heard of the real Moslems. His dad was a heavy smoker. He knows a lot about cigs as a result, he's said. Jonathan smoked Moslems? I just assumed they were Marlboros, because they were obviously intended to look like them. Heh, I guess I missed out on more than I thought by not understanding Japanese. Last edited by Missing on Thu Nov 17, 2005 5:14 am, edited 1 time in total. The pack in the anime sequence in the epilogue practically says Marlboros on them. Wait a minute, so what is Jonathan's official brand? Marlboro or Moslem? The game's text says Moslem but the pictures show a pack that appears to say Marlboro. I'd go with Moslem, since that's what MGS says too. 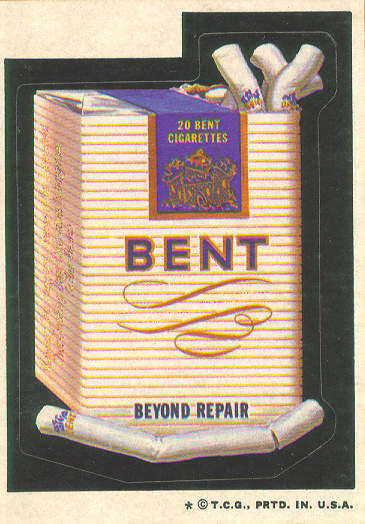 I just wanted to share that there was a spoof pack of cigarettes in the 70s called Bent cigarettes. I hate adds like this. Good find though. didnt he smoke pal mal in mg2, the msx one? The pack displayed in the title screen reads indeed Bal Mal (= Pall Mall). 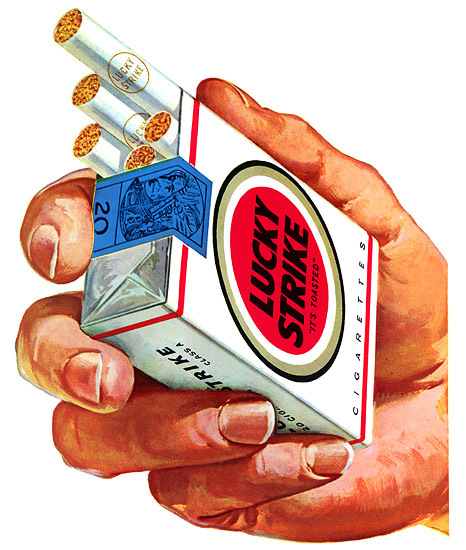 But the actual cigarettes item looks like a pack of Lucky Strikes and the description identifies them as such. If you look closely at the pack of cigarettes in the ITEM menu in MGS1, there's a circle on the pack; indicating that Snake would smoke Lucky Strike - only they couldn't show the official logo because of 1 - copyright infringements, and 2 - children are bound to play it at some point (before throwing the controller in a hissy fit, wondering why running in and shooting everyone doesn't work). Snakes cigarette's can't be Moslems because the ONLY cigarettes with that circular design on the front are Lucky Strikes (I should know, being a Lucky smoker myself) and Snake uses SMOKE to find the hidden infrared sensors in the Hangar on Shadow Moses Island in MGS1 before he faces off with Raven for the first time. Kids play metal gear. I was a child when played the first two and liked them a lot. I saw kids playing the psx ones very well (they are easier then the original) and there is ways to play killing everybody like in an action game. I can do that. You just shoot the radio guys first in mgs 2 and 3. MGS 4 actually recompenses you for killing everybody, since the rebels help you. But what brand of e cigarette does he smoke in MGS 1 ? I have an requirements E-Cig marketing and advertising will be prepared down on before the market is big enough to do big-time sponsorships. It's all reasonably tiny aspects at present. And since they have standard types of promoting available to them I'm not sure they'll hurry into rushing. They only went paintballs highly successful on rushing initially around because it was a wonderful way to get on TV.